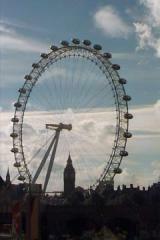 One tourist attraction visible from much of the city is the London Eye. A Ferris wheel in a city should look out of place, but the London Eye looks like it belongs. 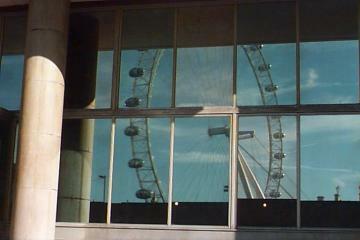 I photographed the eye reflected in a window near Waterloo International Station, where the Eurostar trains leaves for Paris. I made a quick trip to visit from here to UNESCO in Paris for lunch. One contrast in going from Sydney to London is the scale. In Sydney a car yard, is a sprawling open site. 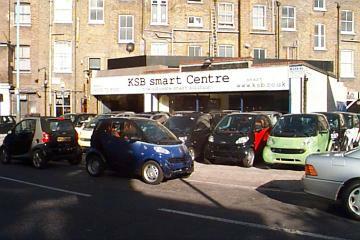 In Chiswick I took this photo of a tiny site selling tiny Mercedes Smart cars. But then later I saw one as a police car in Sydney. 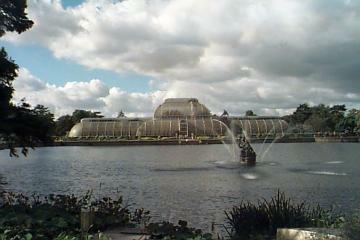 A more usual tourist attraction are the Royal Botanic Gardens, Kew. For me the great attraction were not the plants (they have better plants in the Sydney Royal Botanic Gardens), but the Palm House. This nineteenth century greenhouse was one of the precursors of modern glass and iron architecture. Part of the design of its glass barrel vaults are reflected in the design of the European Parliament Building in Brussels. The Palm House was built by architect Decimus Burton and iron-maker Richard Turner between 1844 and 1848, and was the first large-scale structural use of wrought iron. 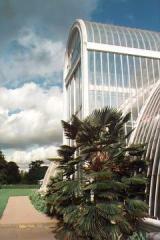 The Temperate house, which is twice as large as the Palm House, followed later in the 19th century. It is now the largest Victorian glasshouse in existence. 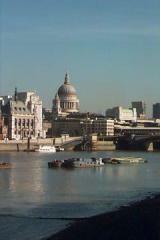 A walk along the banks of the River Thames, is a way to see many attractions. 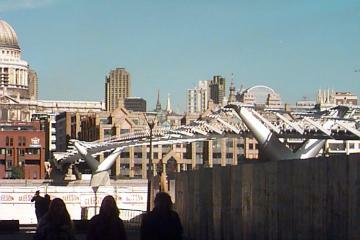 Unfortunately all I could do was look at the Millennium Bridge, as it closed for repairs short after being opened. A similar footbridge is planned from the National Museum of Australia across a lake in Canberra. Hopefully it will work first time. 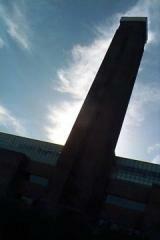 More successful was the Tate Modern Art Gallery. Tate Modern is Britain's national museum of modern art in London and, with Tate Britain, Tate Liverpool and Tate St. Ives, a part of the Tate Gallery. 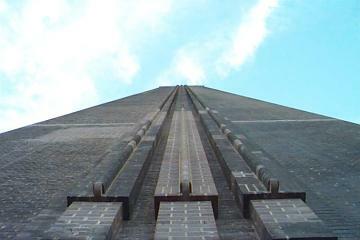 The galleries are housed in the former Bankside Power Station, which was originally designed by Sir Giles Gilbert Scott, the architect of Battersea Power Station, and built in two stages between 1947 and 1963. The power station closed in 1981. The building was converted by architects Herzog & de Meuron and stands at 99 m tall. 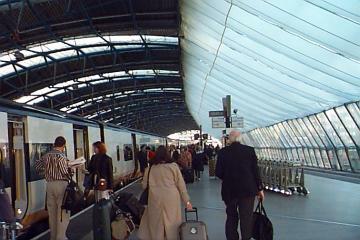 Since its opening on May 12, 2000, it has become a very popular destination for Londoners and tourists. Entry is free. In a way it is a shame this excellent building has been spoilt by filling it with modern art.